What API can I test on the Developer Portal? 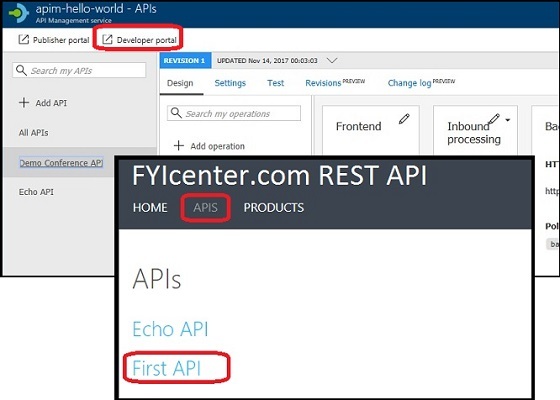 What API you can test on the Developer Portal is depending is limited to those APIs and operations that you have been given with subscription keys. 1. If you are a publisher user in the "Administrator" group, you can test all API operations included in all API products. Because, users from the "Administrator" group are subscribed to all API operations included in all API products by default. 2. If you are a publisher user but not in the "Administrator" group, you can test only those API operations in API products that you have been added as subscriber. 3. If you are a client developer and logged in the Developer portal, you can test only those API operations in API products that your subscriptions have been approved.